The doorway leading to the Ontario Court of Justice Family Court in North York. There isn’t a spare seat in this courthouse waiting room on a Wednesday at noon: Multi-generational families sit huddled together, wearing their winter coats. A woman talks on her cellphone, vowing to record her next interaction with the Children’s Aid Society, to have some kind of proof of suspected misdeeds. A man’s hushed argument with a child protection worker escalates: “I’ll make sure to call you if he loses a shoelace,” he says dismissively before turning away. A child, about 6, bolts from his father and veers through the maze of strangers. Dad catches up eventually. It is routine activity, but the anxiety is palpable. No wonder: their family’s future is held in the hands of the judge within a courtroom they haven’t even entered yet. Behind the heavy blond wood doors, parents come under the microscope, their circumstances studied and abilities analyzed in order to determine whether their child is safe in their care or better off in the system. But the eventual interactions with these judges and lawyers at 47 Sheppard Avenue East in Toronto feel less like a cross-examination and more like a conference with a concerned, yet understanding elder. The judges try to alleviate the natural tension, to help parents reduce or eliminate risks. Yet they won’t budge if a child’s safety seems imperiled. The law is their guide. Because family courts are private, the public knows very little about what goes on inside, unless they’re themselves involved. And yet the courts play a critical role in the child protection system — deciding custody matters, assessing risk, recommending resources that may help a family stay intact. 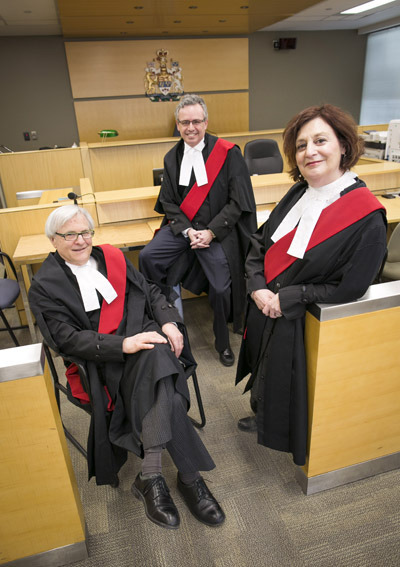 The National Post was given rare access to this court for one day — a day that provides a snapshot of the unique challenges and the powerful impact that good judges can make. The names of the parents who appeared in court that day have been changed in compliance with Child and Family Services Act of Ontario provisions. This is their experience. “Most families who get involved with Children’s Aid never come to court,” says Justice Stanley Sherr, who represented families in child protection matters for 25 years as a lawyer before becoming a judge. Cases only get here when a “protection application” is filed, usually after a family refuses to voluntarily work with the agency, which has concerns that physical, emotional, sexual harm or abandonment of the child has taken place or might. Once there, Children’s Aid Societies have to make a case for why the agency should be involved. Parents need to prove how they’ve made their home safe enough for the child to be returned. Judges make the call. “The majority of these people are not child abusers,” Justice Sherr says. Most of the time they just need help. Judges here see parents struggling with poverty, addiction issues, mental illness — various things that impact their environment, the way they parent. 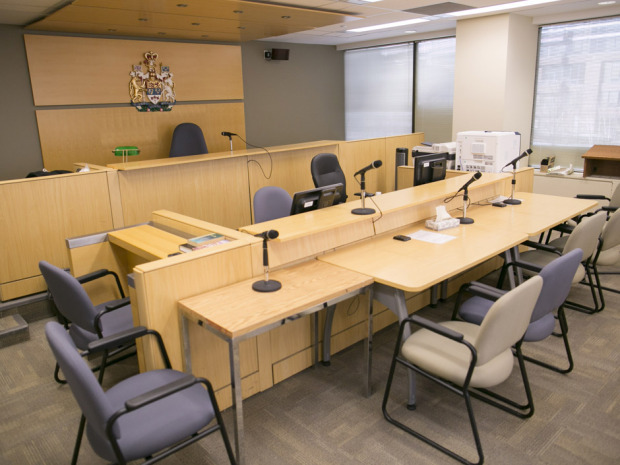 The court at 47 Sheppard practices case management — an approach that’s taking hold in urban centres across the province, but isn’t the norm in all family courts in Canada. Specialist judges get to know the families before them and follow cases all the way through. In a smart, leather-sleeved jacket, her braided hair pulled back, Stella rises when Justice Sherr enters the courtroom. The Children’s Aid Society has reached an impasse with Stella, its lawyer claims, because this mother of three hasn’t allowed the child protection agency contact with her youngest daughter’s daycare. There are no new concerns, the lawyer says, except for that. Stella’s lawyer says her client hasn’t told the daycare the Children’s Aid Society was involved with the family because she feared “stigmatization.” But a stack of daily reports on the table prove this child is happy and healthy and doing well. Justice Sherr asks Stella how she’s faring. She beams and thanks him for asking. “Everything is doing so well, your honour. I start a new job tomorrow.” She is going to go door-to-door trying to convince people to switch energy providers. They joke about how she may one day knock on his door. “I’m impressed by the improvements you’ve made in your life,” he says. He tells the lawyer to hand the daycare reports over to the CAS lawyer. If they are positive, the CAS will leave Stella alone. “When that woman first came to court, she was on the ceiling,” Justice Sherr says after the hearing. Back in 2012, her children were apprehended over allegations of physical harm. “There had been broken bones,” Justice Sherr says. The parents blamed each other. Stella was livid. The CAS tried to facilitate temporary custody, but failed. “Then she started the work,” he says, which involved parenting classes and anger management. The court gradually increased her access to a point where the children returned home, one by one. A courtroom at the Ontario Court of Justice Family Court in North York. “I could justify a supervision order, but sometimes the society’s involvement, at a certain point, can be counterproductive,” he says. In this case, the CAS’s attempt to keep tabs on an otherwise healthy, happy child has the potential to backfire. Over-intervention, he says, carries its own risk. Stella’s progress through court provides “almost a classic example of how case management can work if you can get the client buying in, the judge buying in and then the lawyers buying in,” he says. 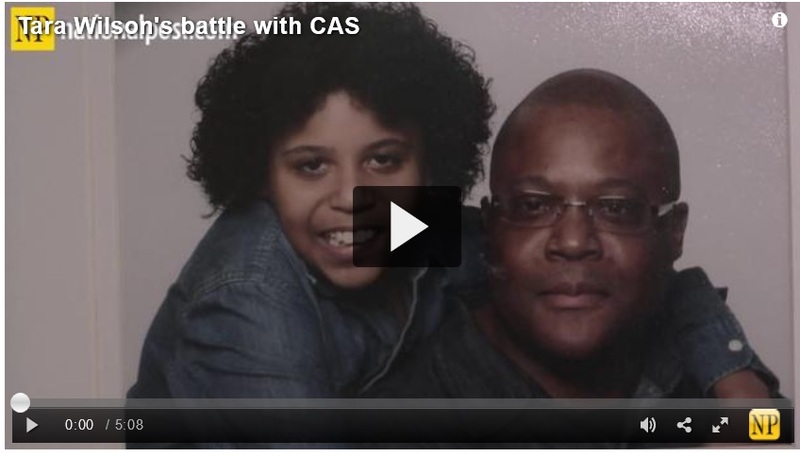 “She’s to the point now where she has her children back and maybe we’re close to terminating [CAS involvement].” But it took building a relationship to get there — the winning ingredient. Without that relationship, it’s easy for the court to feel adversarial. In case management, the judge involves the parent in a plan. He had a long talk with Stella and convinced her that he wanted her to succeed. While not everything is perfect, by and large, she has. A few hours after her 10-minute hearing, the CAS came back with the stack of daycare reports. They were willing to end their involvement. Heather does not want her daughter to come home. It’s not safe there. Not since her father came home a few months back and Heather let him in though she swore she’d never do it again. “He’s a junkie…he hit me, he broke up my house, I don’t want him around me,” she says, claiming he also blew through $52,000. “Right now I’m messed up and I need to get better,” she says, her voice cracking. The Children’s Aid lawyer tells court that Heather pulled a knife on her daughter’s father and threatened to stab him 28 times. Justice Geraldine Waldman listens carefully and keeps her gaze fixed to this crying woman before her. “Are you seeing a doctor?” Justice Waldman asks calmly. Yes, she is, but the pills make her feel like a zombie. “Does the Children’s Aid have an obligation to call the police?” Justice Waldman asks. The lawyer responds that Heather’s daughter is not in danger. “Oh, I would never hurt my children, I love my children,” Heather cries. “I think for the moment, your access to your daughter needs to be supervised,” Justice Waldman says. This is not what Heather wants to hear. She pleads, then resigns herself, then pleads again for unsupervised visits with her daughter. Then, with a simple switch in wording, Justice Waldman changes the tone from despair to relief. “Let’s call the visits ‘managed’ and not ‘supervised’,” she says. The air returns to the room. “Oh, I like that word better. ‘Managed’,” Heather says. She looks calm now and walks out, still flushed from the emotional rollercoaster. “You can see how multi-dimensional my job is,” Justice Waldman says when the door behind Heather shuts. “Mental health, intellectual capacity, immigration, parenting conflict, substance abuse, domestic abuse, systemic poverty,” Justice Waldman lists off the social dimensions she routinely sees. “And in how many of these cases do they say ‘Mom was a crown ward?’” The answer is ‘lots.’ The system has not yet found a way to break the pattern, she says. But by trying to identify the core challenges these families face, they can at least try to ensure these parents get the resources they need to help make them into better parents. Arjun and Tanvi have been at loggerheads over their daughter for most of her short life. Now they stand before a judge on a summary judgment motion brought by the Catholic Children’s Aid Society, which argues their little girl, who is 5, is in need of protection. The domestic conflict and risk of violence she may be exposed to in her father’s care is too great, court hears, so they are supporting a bid to give Tanvi sole custody. She wants another chance to keep her family, but acknowledges “not everything is rosy.” She worries he might try to take the child back to India, where the couple had emigrated from a few years before. There are emerging concerns about Arjun’s mental health, lawyers for the CCAS argue. He believes there’s a great conspiracy against him, one that involves his workplace, the CCAS workers, the police and society at large. He had also struck Tanvi during an argument, though most of their fights were verbal. And, though he claims innocence, Arjun pleaded guilty to assault because he believed he had a “responsibility” to do so, he says. The major sticking point, Justice Robert Spence points out, is that Arjun refused a court-ordered mental health assessment. The society raises concern that the girl is at risk of emotional harm. It’s a tortuous back and forth between Justice Spence and Arjun, who gives roundabout non-answers to his questions. The eventual decision does not play into Arjun’s favour. “I find that the child was at risk of emotional harm, the high conflict was exacerbated by the father’s behaviour. Tears are pooling in Arjun’s eyes. “No one wants to sever the relationship with your daughter,” Justice Spence tells Arjun, his voice softer than earlier. “You need to find a way to have a normal relationship with your daughter, and there’s things you can do.” Justice Spence wants Arjun to acknowledge his mental health challenges and seek help. Arjun represented himself in court — a choice many parents make. Had he accepted duty counsel’s help, he may have been quicker to acknowledge the risks and address them sooner. That’s a huge challenge for a lot of parents, because they are resistant to Children’s Aid intervention. And in the cases of new immigrants, such as Arjun, entering a society with vastly different expectations can be a shock, Justice Sherr says. The added hurdle is the short window of time you have in which to show progress: Children under six should not be made society wards after one year, the law says, so this means the court needs to decide the child’s future quickly. Utter Propaganda from the Ontario Ministry of Gender Superiority. While some judges are saints most are not. Most are part of a Fac.sist Program of removing children from Fathers and placing them with violent women. Jennifer Belishen and Tim Minemma. Sheffield has faced incredible numbers of allegations of corr.uption. He has zero empathy and even court staff openly discuss what a creep he is to work for, let alone his victims. Tim Minemma like the CAS lawyers before him personally fabricates Evidence. He is a former and possibly current member of the Dutch Reform Church known for being Collaborators and supporters of the 3rd Reich during ww2. Even the most supposedly objective judges like Robert Maranger are fundamentally corr.upt and devoid of empathy and more concerned about getting Revenge, and of course Rubber Stamping anything the corr.upt CAS of Ottawa request. Ottawa Ontario Superior Court Judges Chambers is a toxic environment of the worst personalities that could ever be entrusted with any responsibility. They encourage and promote criminal offences. Tim Minemma, Kane, Aitken, Linhares Desousa and Belishen not to mention Sheffield all turn blind eyes to Obstruction of Justice and blatant Fabrication of Evidence by lawyers who are the utter excrement of criminality. If you visit any jail you would be hard pressed to find more vile personalities than that at 161 Elgin Street Ottawa. It means that CAS lawyers like Marguerite Lewis and Tracey Engelking get a way with blatant fabrication of evidence not to protect children but to ABUSE children and over the decades in around 99% of cases place children with even the most violent of mothers than with a devoted loving functional full time father. Trials in Ottawa are a farce with a veneer or due process that does not exist in reality. Canadians regard the Judiciary as the Most reviled occupation. They have total immunity from any form of accountability and have immunity from criminal and civil liability which is what encourages these lowest forms of humanity to abuse their absolute Power absolutely. Another Classic conclusion of any Judge in Canada. The father was violent, all the mother's problems were as a result of the father so now their generic Feminist solution is to remove all fathers and prevent them from ever having any contact again. Judges like Jennifer Belishen of Ottawa has a 23 year record of removing children from fathers and placing them with the most dysfunctional and violent mothers. She refuses to consider any evidence other than what her Former Employer, the Children's Aid Society of Ottawa puts in front of her and calls it evidence. Typically for the last 23 years of her reign of terror she has simply regurgitated what one Dr. David Alexander McLean has put his name to in a report. A report largely if not entirely penned by the Children's Aid Society who fabricate evidence, Omit evidence to obtain orders to suit what ever conclusion happens to suit their political agenda. The Salem Witch Trials had more "Due Process" than what occurs in a Family Court or even worse, the Secret Courts of the CAS where their reputation is so bad that local Ottawa Lawyers refer to them as "The Gestapo". If you watched the movie Thelma and Louise, you can change those names for most of the Judges male or female in the Ottawa Judiciary who operate with a pathological hatred towards fathers. The greatest Danger to Canadian National Security is not the lone mentally deranged killers that suddenly comply with orders of ISIS but the Corr.upt Judiciary who engage in endless terrorism of children and fathers. The very worst child abusers are not in jail, they never get convicted, and look after the most corrupt of society, the underbelly of the legal profession who fabricate Evidence and obstruct justice as though watering the shoes. Recently Ottawa CAS Lawyer Marguerite Lewis fabricated evidence, so flagrantly that a Sgt. John Gibbons upon reviewing the documentary evidence of transcripts and affidavits said "It's perjury, she lied to the Judge" That investigation came to grinding stop with a phone call from CAS lawyer Tracey EngleKing. You see, recently Tracey Engleking went to Justice Monique Metivier and asked for an Exparte Order for Custody in favour of a mother who was just charged with threatening to kill the father and assaulting him some 55 times, those charges were laid after a six month investigation and approved by a Crown Attorney. Immediately after the charges were laid, the CAS conveniently had a Crown Attorney TARA DOBEC Stay the charges. That even pissed off Justice Paul Kane who said "If the genders were reversed, Charges would have been automatically laid and it would have automatically gone to trial. Our Judiciary includes some saints, and tragically, Canadians fail to stand up and speak out when the majority of these State Funded Terrorists, abuse their absolute power absolutely to terrorize children and parents. These Dead Beat Professional Child Abusers are on a Gender Superiority Campaign that is Fas.cist in nature and it has resulted in across Canada around 99% of children being placed with mothers, often regardless and more often than not, contrary to the evidence that the Judiciary refuse to hear. The Judiciary of Canada are fundamentally corrupt. They endlessly engage in what is called "The Process of Justification" which is a classic example of excuses that Criminals use to justify their own personality disorders. "The law is their guide." Anyone, especially a father who has had any dealing with the Children's Aid Societies of Ontario is probably suffering at least a severe dose of PTSD. The "law" as they refer to it has been increasingly modified to suit the CAS. The Rules of Evidence are bizarre and even the Salem Witch Trials had better rules and better procedure than that shown in any CFSA court in the Fas.cist state of Ontario. Hearsay, quadruple hearsay based on triple hearsay is often the justification used by a judge to take a child from a deserving father and place it "temporarily" in the care of the CAS so they can Fabricate evidence to "place" the child with a violent mother simply to get around what is called the law. The C.F.S.A. S.51(2)(a) requires that the CAS return a child to the parent who had charge of the child prior to their "intervention". Our Corrupt Judges encourage these professional Child abusers to "play god" to "place" the child on what they call "home visits" or "extended visits" meaning the CAS have effectively made a custody decision that is unlikely to change. The child can come to unnecessary supervised visits with dad in serious bruises, disclose violence going on in the home, and ask to stay at dads place because Mommy and sister were being violent, and the CAS will immediately fabricate, "What bruises, we did not see any bruises", "What disclosures, we did not hear any credible disclosures" etc. The CAS make incredible amounts of money per child in supervised visits, in foster care generally with a foster parent who is often the most likely to abuse children and the most unsavory examples of humanity one could meet. Without exception, foster parents will NOT rat on the CAS, they will provide what ever evidence the CAS ask from them. The CAS are a terror organization who cost Ontario Billions of Dollars. They get away with their Reign of Terror because Ontario Superior Court is riddled with Corr.upt Father Hating Judges who are hell bent in making sure at least 99% of all children in front of them never see their father again. with a Dead Beat Father hating corr.upt judge. In Ottawa Recently, a mother was for the second time charged with violence towards her husband. Despite agreeing to the withdrawal of the first charges conditional upon an anger management course and a mental health assessment, a Corrupt Ottawa Crown Attorney just stayed the charges. An Ottawa Police Detective Peter Van Der Zander fabricated evidence that she denied attempting to strangle him to death when the arresting officers found the father bleeding around the neck and with scratch marks consistent with a strangulation attempt. That same Rotten Cop Van Der Zander then terrorized the father with unfounded allegations of being a pedohile simply to justify HIS God like decision to support a violent women so she could have another opportunity on another day to do the same thing and call the police. Recently however for a second time she was charged this time with repeatedly threatening to kill him, and assaulting him some 55 times on just one day. The evidence included pictures and reports taken by doctors and at Ottawa Police HQ of what several lawyers called the worst case of domestic violence they have seen in 30 years. Those charges were stayed again by a Corrupt Crown Attorney Tara Dobec at the request of the CAS of Ottawa. The CAS sent the mother to a "Hired Pen" "a Quack" to write a fabricated report that failed to mention she refused to do the written psychological testing. She then was sent to Anger management and two days after she completed that she Assaulted her new male partner by placing, wait for it, a Strangle hold around his neck and told him "I know what I am doing, my father was a member of the secret police". The CAS acknowledged that the mother had assaulted more than one child and more than one partner. However, the CAS claimed that the mother must have been provoked and a week after they were given reports of the mothers ongoing unprovoked violence towards partners and ongoing reports of violence by the mother to the children, a Marguerite Isobel Lewis, the Lawyer for the Children's Aid Society acted in contempt of the legislation to place the child with the mother on what they called "an extended visit"
That's the scam that the CAS use to act in contempt of the legislation. Marguerite Lewis is perhaps the most outrageous example of a lawyer who Fabricates Evidence to abuse children and she has the blessing of every judge she appears in front of. It begs the question, just what power and influence to Corrupt Child Abusing Lawyers like Lewis have over the Judiciary? One answer could be to the Rat Mentality. The Judges she appears in front of are often former CAS lawyers and she used another Former Lawyer for the Ottawa CAS turned Judge to seek and obtain an order terminating the father's unnecessary supervised access. You see, the CAS claim that a male victim of domestic violence cannot support the child's relationship with the mother who repeatedly assaulted both the children and several male partners with "Strangle Holds" around the neck. A recent translation shows that she told one of the children how she wanted to strangle them to death. This is the kind of mother that the Father Hating CAS advocate for. As for the Father? You see he used to work for the same Children's Aid Society and thats another story. Readers should note that the propaganda piece published above has no resemblance with reality. The same judges habitually blame mother's problems on fathers and in 99% of cases, place children with who ever the CAS ask for and often if there is not a father in the picture, that generally means placing the child with another female who most probably made uncorroborated allegations to cause the CAS to act as their free legal service. While Ontario operates this CArtel of Criminal private corporations without any accountability, it will continue to destroy marriages and children at incredible numbers. Ontario is NOT a safe place for any child or parent with the "Gestapo of Ontario", the Children's Aid Societies of Ontario. This means that dam near every extreme feminist who is part of the Billion Dollar Gravy Train "Flags" any and all posts that don't agree with their position. They have their lawyers send threatening letters to the National Post to get any and all posts removed that they don't like. This Article is probably one of the worst examples of Judicial Propaganda ever published in Canada. The Author Sarah Boesveld unlike almost all other journalists does not respond to emails from anyone critical of the Judiciary. This article is a delusional portrayal of the Judiciary and Family Court in Ontario and bears no resemblance to reality. Ontario Family Court is more often than not a stage for Judges to act as though they are objective and apply the Rules of Court, the Rules of Evidence and see that Justice be done expeditiously. The Reality of Family Court in Ontario rarely has any relationship with law in theory. The Reality is that 99% of children are placed with mothers regardless of the evidence. Judges play a tag team, like hockey players passing the puck for another player to shoot the puck into the goal. The Goal of Ontario Family Court and C.A.S. Court is to remove children from fathers by any means available which generally means Fabrication of Evidence. The worst offenders are Child Protection Workers who Judges almost never ever doubt their credibility. These lowest forms of life have absolute power and abuse it absolutely. This article shows an author with a a total lack of understanding of the realities of Ontario's Family Court. "A woman talks on her cellphone, vowing to record her next interaction with Children's Aid" to have some proof of suspected misdeeds". Sara Besveld fails to understand that CAS workers are largely Professional Fabricators of Evidence and most of their apprehensions are without cause and what is worse, once they get hold of a child, its the Judges who Fail to carry out any logical reasoning or consideration of the evidence. The only evidence Judges generally accept is that of the CAS. That leads to CAS Lawyers personally fabricating evidence. This article by Sara Boesveld will attract every fem box publicity hound who will flag every article that is critical of family Court and or the Children's Aid Societies of Ontario. All of the Judges mentioned have reputations for granting "Summary Judgement" based exclusively on CAS Evidence. Ontario Judges are brainwashed with delusional ideas that the CAS are "Authorities" who can be relied upon because society expects them to act like god. The Children's Aid Societies of Ontario are entirely unaccountable and given absolute Power by the Judiciary of Ontario who in turn are where the final opportunity for accountability occurs most of the time. Summary Judgment is now a Broom that Judges use to clear the court lists of files and to avoid trials. Trials are for the purpose of "Rubber Stamping" what ever CAS want and the primary rule of Ontario Judges in such trials is to simply ignore any and all evidence that does not agree with the CAS. The normal result is that children never see their father again and in the vast majority of cases, the claims of the CAS and the Judicial conclusions blame all the mother's problems upon a father. If no father exists, then its frequently another female relative who had motive and opportunity to make allegations that CAS jump on, fabricate evidence and then of course seek "Summary Judgment" on the basis of Fabricated Evidence. Ontario Family Court is a cess pool of Criminals in the form of Child Protection Workers CAS lawyers and of course, the Judges who are more often than not, former lawyers for the Children's Aid Society for whom this writer also used to work for. I'd like to share with you, a "Rare Look" inside the secretive family Court. You see, I used to work for several judges, I will respect their privacy by not naming them here. However the conversation at the beginning of the day goes like this. "How many cases have we got on the docket today"? Well I've got a golf game I'd like to go to this afternoon and it would be nice to be able to get everything cleared away by 2:00 pm. "You have an urgent motion to prevent the CAS from putting a child in the custody of the mother".. Did the father file materials? Yes your honour. Well I'll just refuse to look at them. If the CAS want to defeat the the C.F.S.A by their usual subterfuge of extended visits we will just have to trust that they know what they are doing. Oh, Your honour I have the CAS on the line... yes, what do they want? "Is that the one that beat up her male partners and assaulted the children? Did they get an Anger management certificate for her, I mean that should be enough shouldn't it? Yes your honour, however 2 days later she assaulted her new male partner with a strangle hold around his neck..
Well he is a male and he must have provoked her. I'm not going to consider that. Well your honour, the CAS did not serve the father or give him any notice of the hearing which is required by the C.F.S.A. S. 51(2) (a). Look, we have them down for a case conference right? Tell them I will give them the custody order after the father leaves that case conference. Now can you get me a few Tylenols, that red wine last night must have been a bad batch. Sorry to burst your bubble however your perception is incorrect. Transcripts have to be ordered at $4.50 a page for the first copy. Ontario Legal Aid Cancels Legal Aid for Fathers while the Ontario Government throws Billions of dollars of Taxpayers money for the CAS who can order what ever transcripts they want. MOST cases are NOT reported and there is NO public record of most of the Cases which are santized versions that Judges write to justify their decisions to prevent any successful appeal. Judges now make their decisions appeal proof by issuing draconian orders that prevent appeals of Final Orders where there is in theory an automatic right of appeal without having to seek leave. Ontario then forces those CAS cases to be appealed to the Divisional Court, where the SAME judges get to automatically reject appeals. Then the cases might go to the Court of Appeal but by that time the court record is riddled with Judges findings based on FAbricated Evidence by CAS lawyers, CAS child protection workers etc. There is no Justice in Ontario Courts, its a co.rrupt cess pool of the worst personalities who abuse children and fathers. Real Crime, Starts in Family Court. The Problem is that most fathers are so utterly destroyed and terrorized by the CAS and Family court that they are too afraid to make any waves or take any action to assist others in the same position. Canadian Feminists are entirely different, they have incredible networks and receive billions of dollars in government funding of which none is given to supporting fathers who are victims of female abuse in its various forms. The real problem is that society criminalizes men at birth as unfit parents which effectively encourages women to be violent towards fathers for the purposes of having a reason to call police and when he is covered in blood or dead, to call the police and say he provoked me. The facts alleged are true and therefore is not slander. The Ottawa Police, Sgt. John Gibbons launched an investigation into CAS lawyer Marguerite Isobel Lewis for Fabrication of Evidence and Obstruction of Justice. Unfortunately I don't agree with him. For perjury she had to be sworn in and under oath. Lawyers are NOT under oath but they cannot be witnesses in a case they represent and cannot knowingly provide patently false information for the purpose of obstructing justice. The posts are made in the public interest for the public benefit and to deter any other CAS lawyer from Fabricating evidence. There is a dire need for people to post the details of those lawyers and CAS workers who fabricate evidence to abuse children. Society has unrealistic expectations and a failure to remember the lessons of WW2 where absolute power by a Fas.cist government results in utter destruction and terrorism. The CAS and our Judiciary are the executioners in a Gender Superiority Policy of the Ontario Government. Real Crime starts with a dead beat judge turning a blind eye to a dead beat CAS lawyer fabricating evidence.